Heidi goes above and beyond being a good Samaritan. When everyone else either looked on disapprovingly or turned away from the young teenage girl with the baby in the pouring rain, she was the only one to feel true concern. But she couldn’t say anything, couldn’t run the risk of offending the girl. There were a million reasons why she might be there, all completely legitimate. Then Heidi sees her again and again. The girl and the baby obviously need help and before she knows it she has gone from buying the girl a dinner to inviting her to stay in her family home. Her husband is furious and her daughter is put out but Heidi can only see the good she is doing. The girl needs her help and yes she’s most likely a runaway and is definitely hiding something but there’s the baby. The perfect, beautiful baby. After reading and hugely enjoying The Good Girl by Mary Kubica last year, I was looking forward to delving into her new tale, Pretty Baby and was very happy to find it contained similar strengths. One of the components of Kubrica’s novels that make them so immersive are the incredibly vivid female characters. She crafts these people that are so alive in your head and ever so slowly, so you hardly notice, she turns your pre-conceptions against you. This is done brilliantly in Pretty Baby as you meet two very different females who are incredibly vulnerable for different reasons. Willow, the young teenager is a heartbreaking character and the hardship she faces are enough to bring a lump to your throat but as the story continues you realise that Heidi isn’t quite the tough, altruistic woman that she appears. 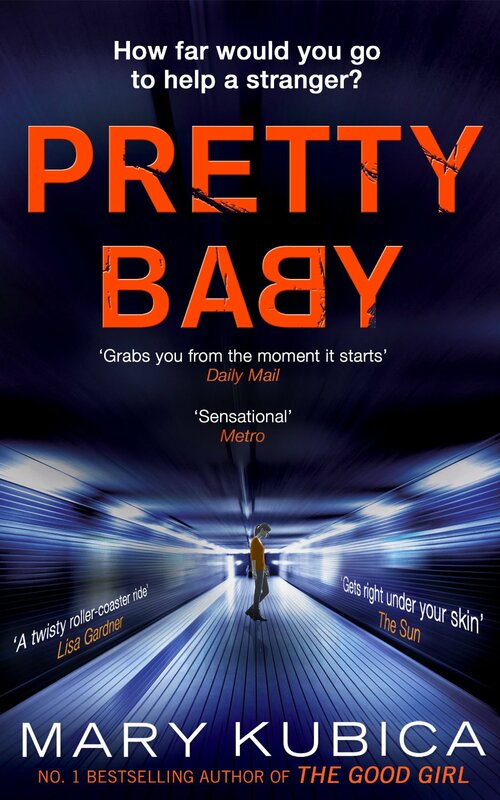 Unsettling, dark and addictive, Pretty Baby is a superb psychological thriller and one I would highly recommend to anyone looking for a lip chewingly good read. Buy your copy of Pretty Baby from Amazon here.